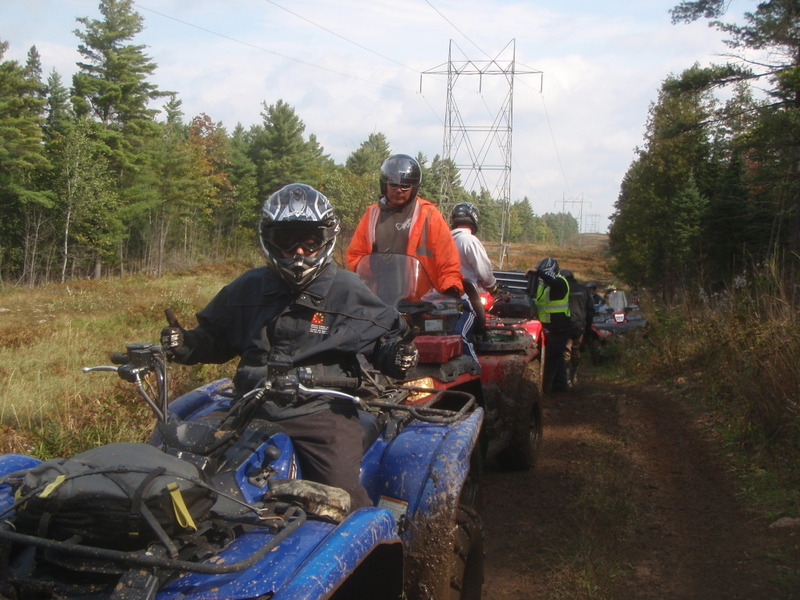 While the onset of the Spring ATVing season can be marked by the Ompah Volunteers Spring Ride, you can set your calendar to the winding down of non-winter ATVing season by the Annual Ompah Volunteers Fall ATV Ride. Not as popular as the Spring ride, as people have been out and about all season at rides across the province, school has started, and Summer has wound down, each year the little village of Ompah puts on a second ride to Support Ompah Volunteer Firefighters, Ompah Community Volunteer Initiatives, the Ride for Dad in their fight against prostate cancer, and the Relay for Life Canadian Cancer Society. 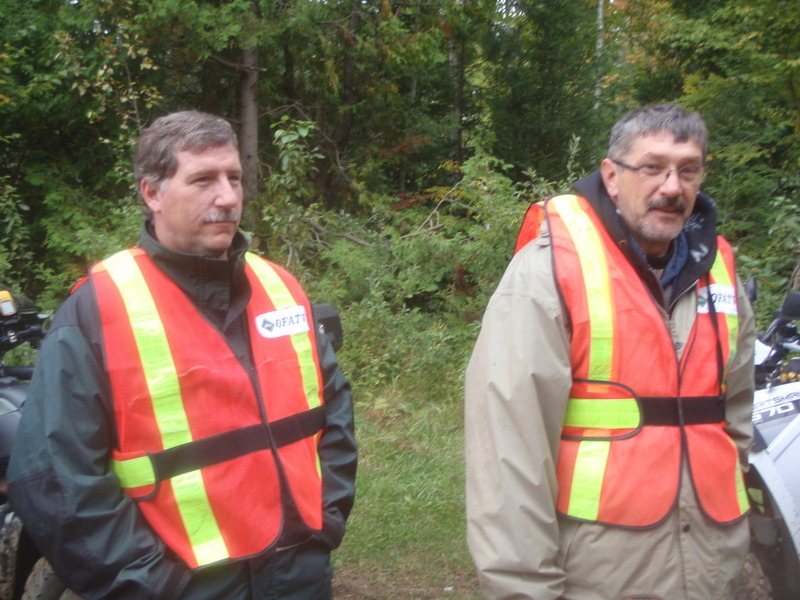 Our hearts skipped a beat this year, as we had heard word that the Fall ride was going to be cancelled this year because of uncertainty for a venue for the dinner at the ride’s conclusion. 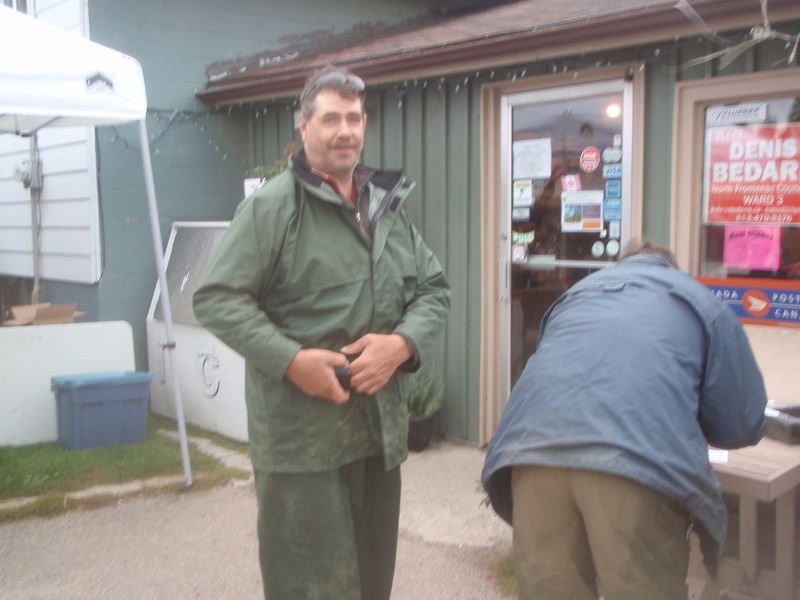 Repair work was being done on the Ompah Volunteer Fire Hall, one of the places the funds raised by these rides is earmarked for. 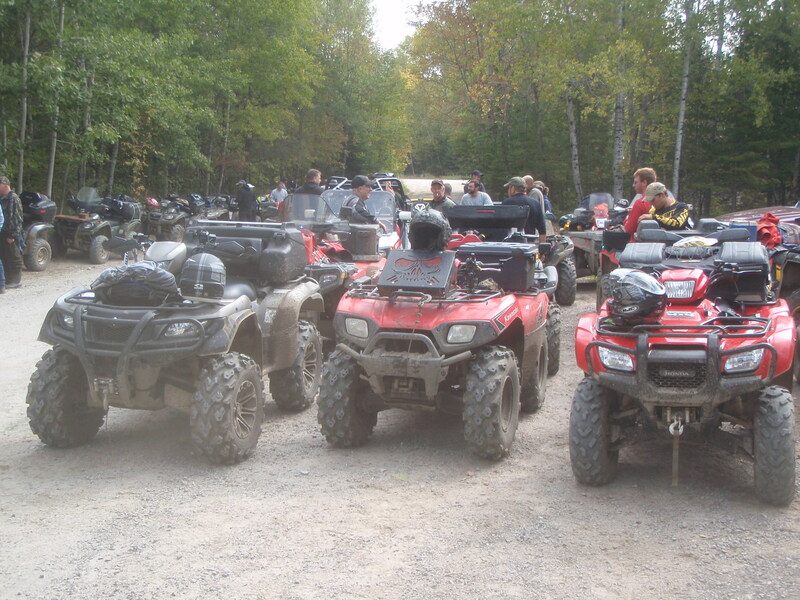 However, with a little prodding and a lot of sad faces on the part of ATV enthusiasts that flock to Ompah for these rides, the ride was re-instated as a ‘go’ minus the dinner afterwards. 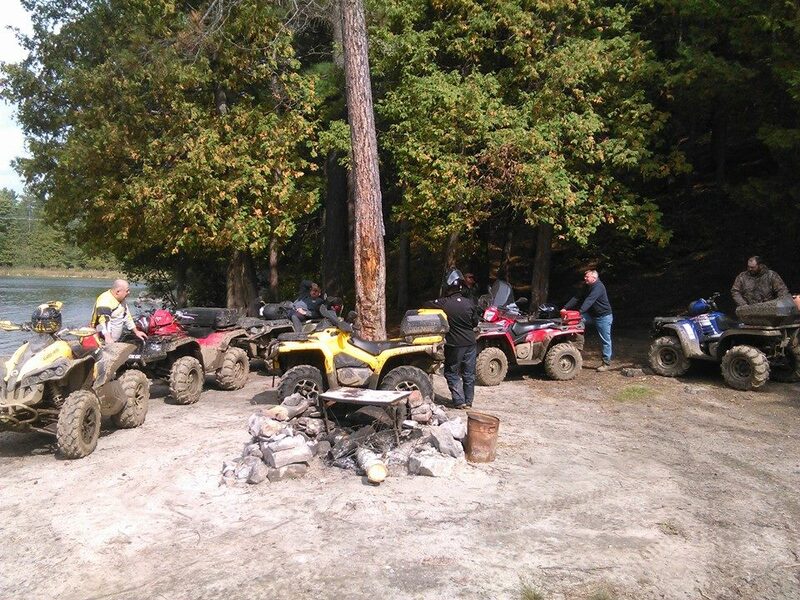 Due partially to the uncertainty of the ride, and our own busy schedules preparing for the Nation Valley ATV Club’s 7th Annual Fall Ride, we planned for a quick turn-around ride this year. 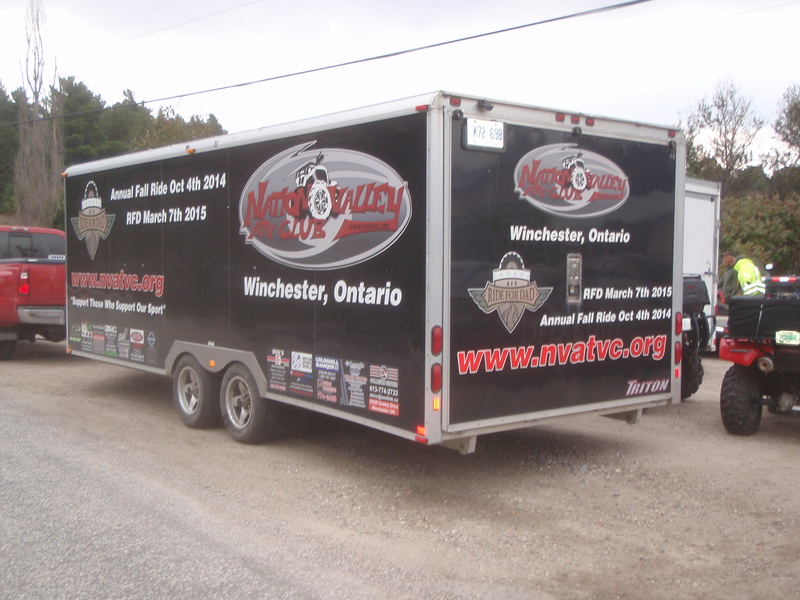 With the sun barely cresting the horizon, the Nation Valley ATV Club hit the road with the club trailer and headed out for the ride first thing in the morning. We left early as we wanted to make sure we got a good parking space, front-and-centre. 300 ATVers from near and far gathered at the Double S Sports and Marina to register for the Fall Ride, and they were ready for action. 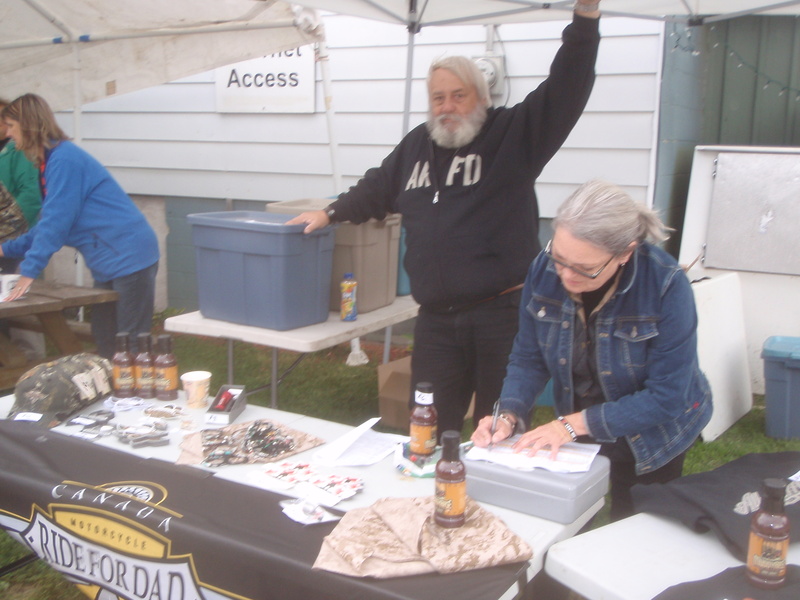 National Ride Captain, Byron Smith of Ride for Dad fame was on hand at registration selling Ride for Dad Apparel and souvenirs. I made sure to pick myself up a new camo ATV Ride for Dad hat myself. Ompah Volunteer Firefighters were selling raffle tickets and getting people registered up for the big event. With the short notice upon the decision to re-instate the ride, the route was the same one as used in the Spring. Taking everyone through 100 km of forest access roads, hydro cuts, pipelines and bush trails, this showed us that you can ride the same route in different seasons and you’d never know you were on the same trail! Halfway through the ride, a few of our members remarked how they enjoyed the fall’s route way better than the Spring’s ride, and they wouldn’t believe me that they were on the same trail! 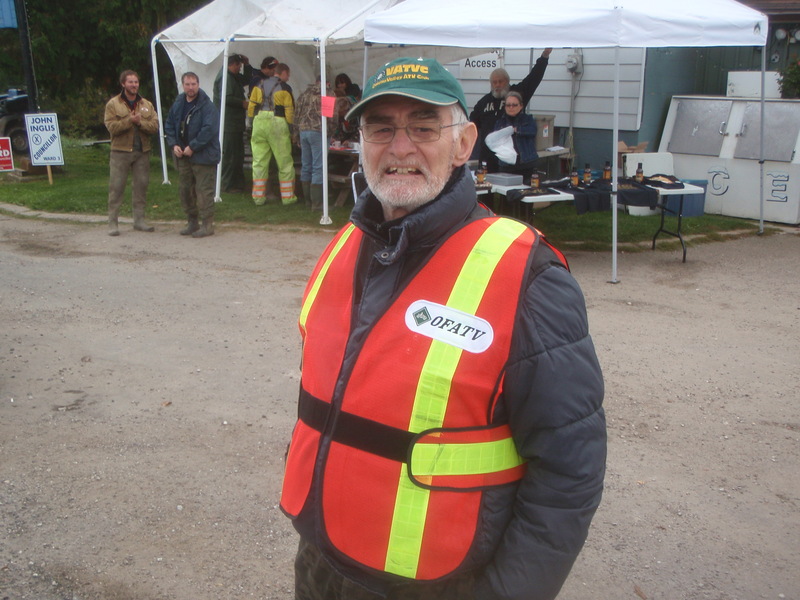 Ottawa Valley ATV Club was on hand wardening the trails, and giving directions on a few selections where you could choose the “dry” and “less dry” route. The Relay for Life volunteers were in charge of the lunch once again, and really set the bar high this year a whole smorgasbord of selections to choose from including chili, hamburgers, sausage on a bun, hot dogs—the whole kitchen sink! 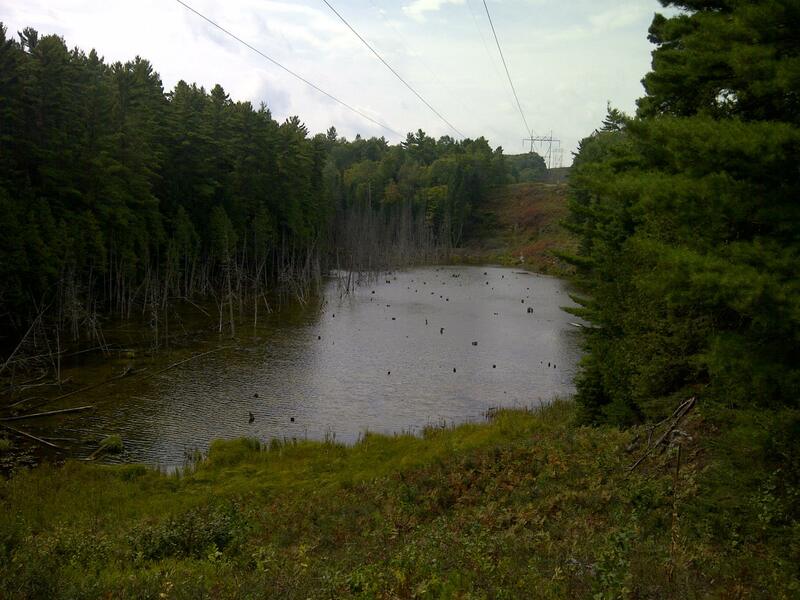 Even after a relatively wet Summer, the Quackenbush loop was actually dry, and I did not have to make any exclamations about it being the Quackenswamp, and yet again no one would believe me when I told them we were in the same place as we had been in the Spring! 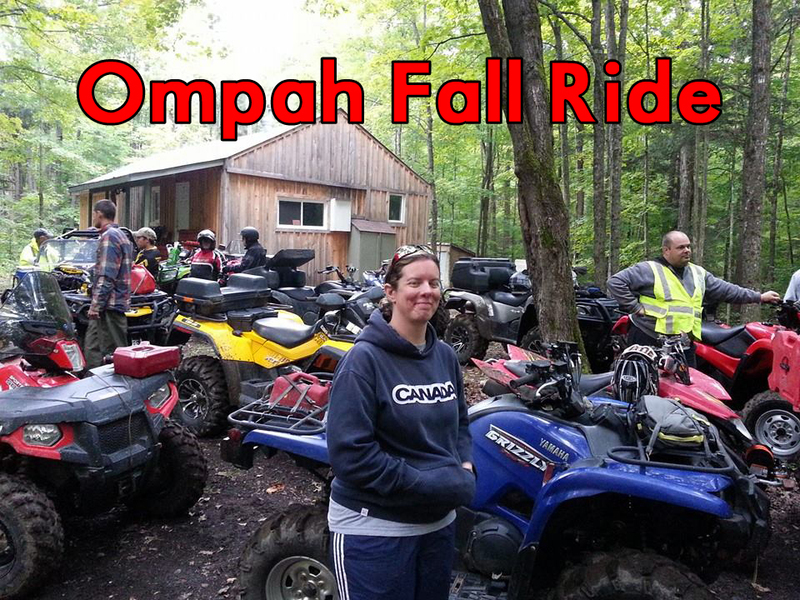 Ompah continues to put on a great ride, even on short notice. 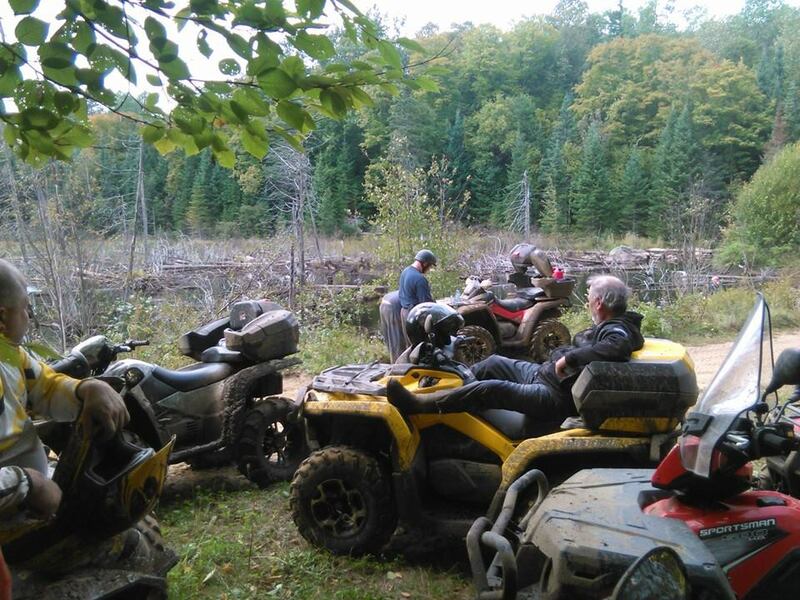 This by far is what an ATV ride is supposed to be like. 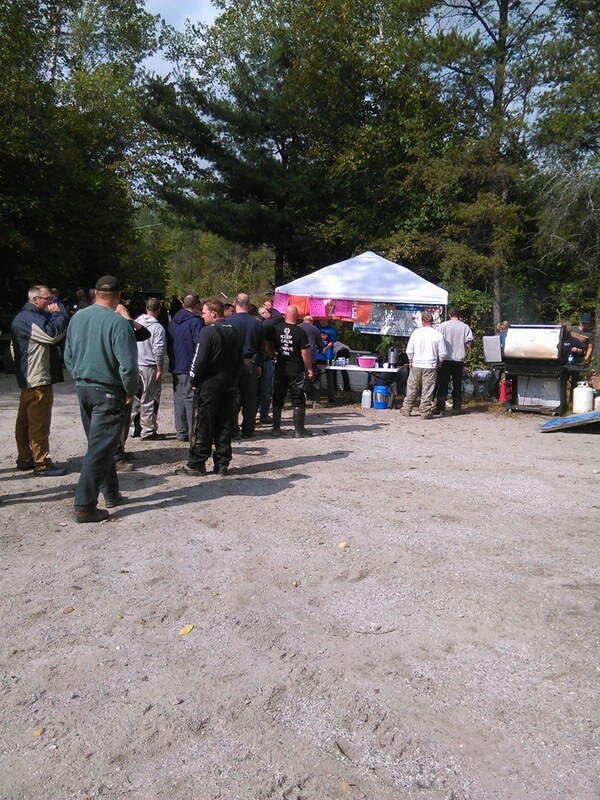 We arrived in the morning, everything was well organized and marked. We travelled the route without incident, and for those that had incident, the ladies of the Volunteer Fire Department were on hand to haul your bike back on the meat-wagon. With the absence of a dinner afterwards, we were loaded up, home and unpacked long before we usually ever emerge from the Quackenswamp! 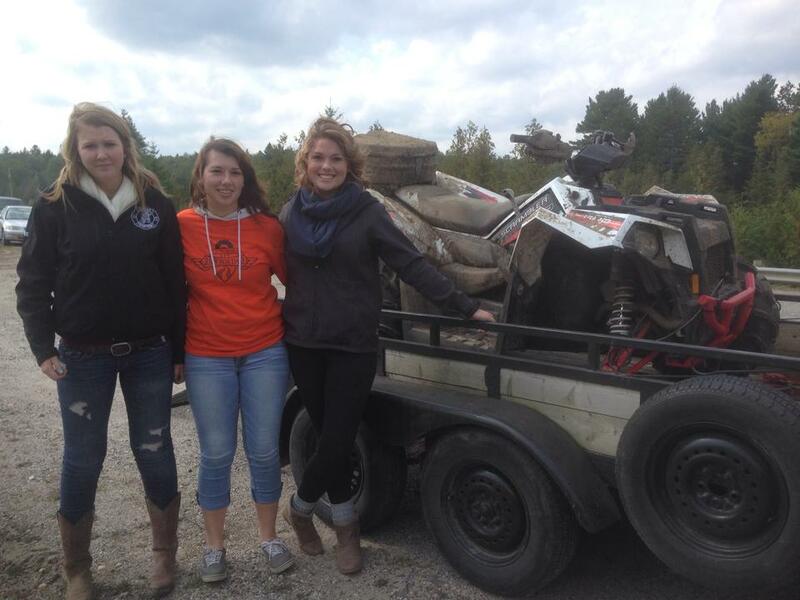 Another great day ATVing.